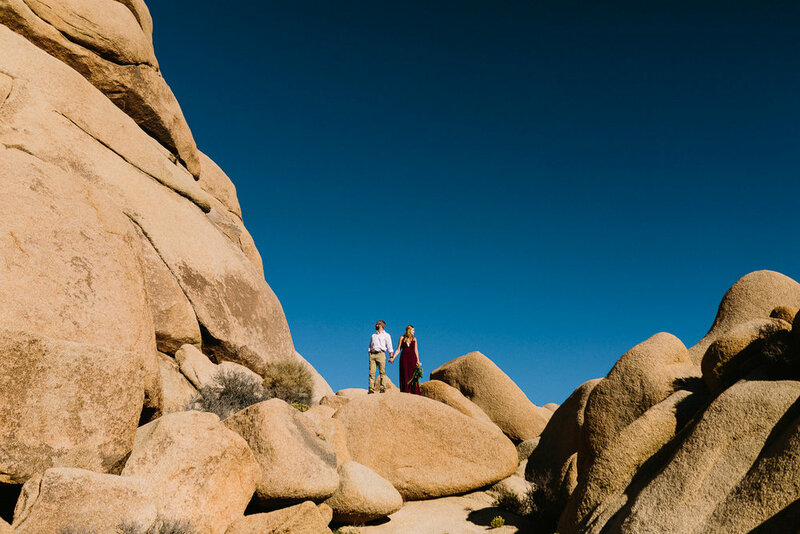 One of my favorite memories will forever be joining Kate & Robby in California for their Joshua Tree Elopement. Kate & Robby flew me down to Ontario in December 2017, picked me up and we headed out to the store for camping supplies. I grabbed all the snacks I couldn’t live without and then we drove out to Joshua Tree National Park where there was no cell service (ah, heaven!). My wonderful couple had brought a tent for me and we set up camp and made dinner as the sun went down. Our first night there, we played Yahtzee and then set up the tripod to mess around with night photography. 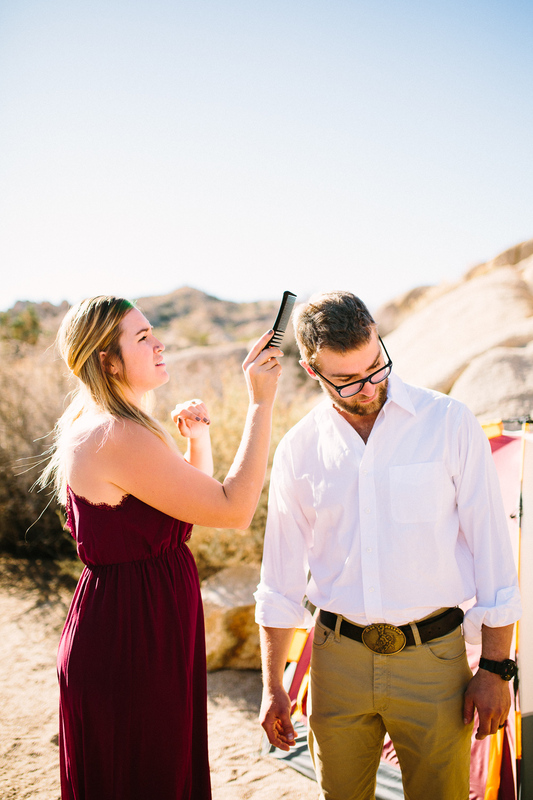 The official elopement was scheduled for the following day where Robby & Kate would get dressed up, we’d take some pre-ceremony photos and then the two would say their vows to each other. It was going to be simple and to the point, just like Robby & Kate. The following day we woke up, got ready, and explored our area. It was gorgeous! This had been my first time in Joshua Tree and it was such a sight for sore eyes (especially since I hadn’t seen the sun in a while!). 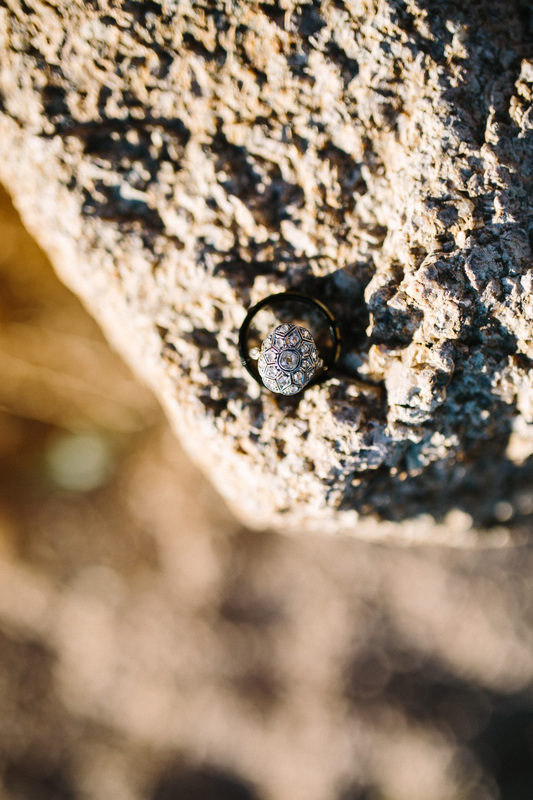 We explored and took photos for hours before finding the perfect spot for Robby & Kate to say their vows at sunset. I turned on some music to create some privacy between the three of us while they got ready for their vows. I don’t know what was said but there were tears and laughter and tight hugs. It was a beautiful moment. 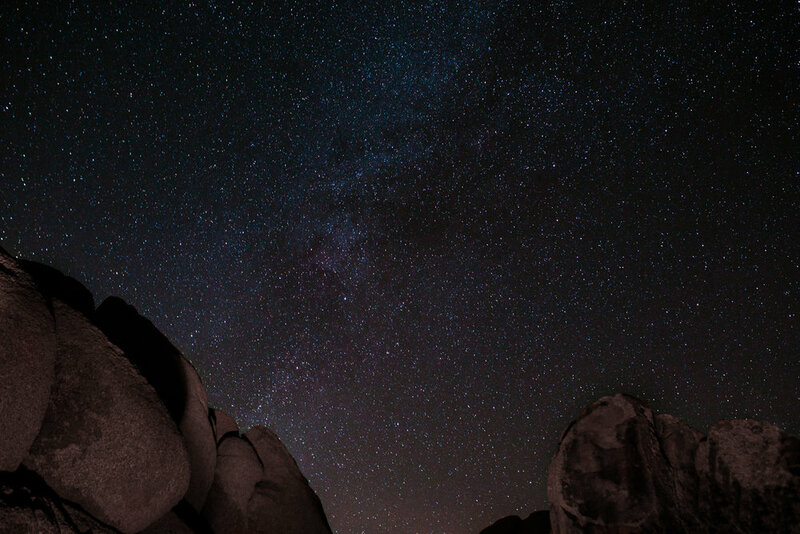 The rest of our time was spent hiking, playing games, trekking out to Salvation Mountain and taking starry night photos. I had a blast camping, photographing, and spending time with these two and it was such an honor to be a part of such a special time in their lives. There are many but you won’t want to miss my favorites from our trip! Scroll below and check them out.